What is the Italian word for “roar”? Find out at Velocity Moto, home of Moto Guzzi motorcycles since 2001. 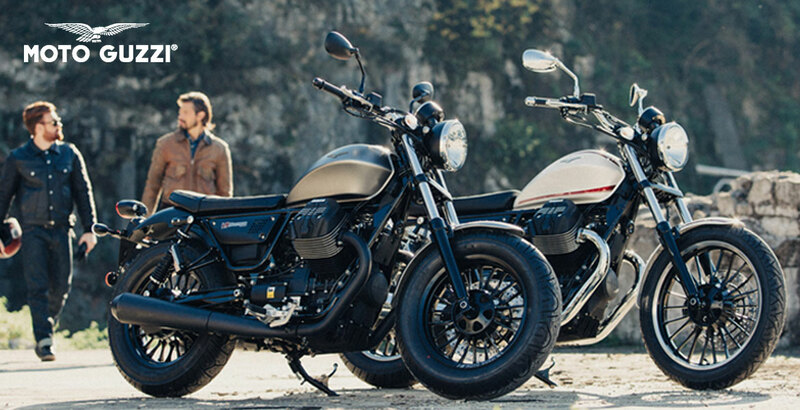 From stylish cruisers and touring bikes, to the powerful Enduro models or custom-built classics, you'll find a Moto Guzzi to love in our vastly diverse inventory. Visit Velocity Moto and experience over 95 years of Italian passion and ingenuity. At Velocity Moto we ensure that we have something for every passionate and particular enthusiast. Simply call any of our numbers below or email us moto@jnautomotive.com and our qualified Moto Guzzi experts will be on hand to answer any of your questions about our range.